Is Italy safe to travel? Nevertheless, just like in any place in the world visited by many tourists, there’s always the risk of dealing with pickpockets, especially when you’re in a crowded place, public transportation, and are traveling in the high travel season. For this reason, to be on the safe side it is advisable to keep both your eyes open when it comes to your valuables, to follow the general rules of your safety precaution, and to not leave your belongings off-hand or in outer rear pockets. As such, it is also recommended to not carry around your passport and documents, it’s better to leave them in the hotel. Is Southern Italy safe to visit? An often asked question, especially due to the fact that people have heard about “Italian mafia” at least once in their life. Actually, although formally the mafia does still exist, in Sicily, for instance, yet this is not a reason for concern as even if there is a small possibility of the mafia sorting things out, this is only with the government, never with foreign travelers. 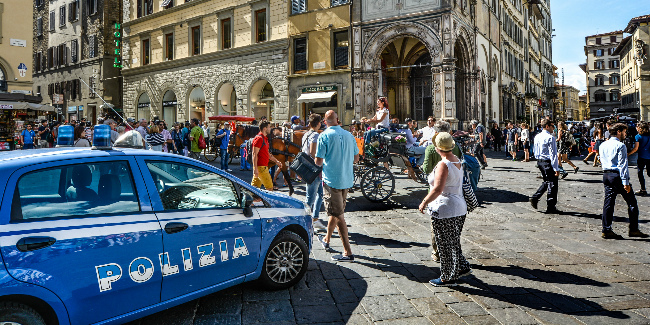 The locals treat tourists like family, so no worries, it’s extremely unlikely that you’ll encounter the mafia, this part of Italy’s safe to travel to. Tourist safety in Naples is another question people frequently ask. We say, don’t be dramatic, yes, the city has a relatively bad reputation in terms of criminality, but it’s safer than many cities in the USA, for instance than Houston, Texas. Safeguard yourself by not being easy “bait” for bag snatchers, take regular safety precautions, and you’ll surely enjoy your time in Italy.